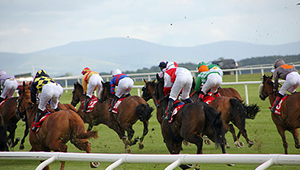 Kildare, known as the thoroughbred county due to its connection with horses over Millennia, has much to offer the visitor. The county includes many different landscapes from the Curragh Plains & the Bog of Allen, to rich farm lands, the Liffey & Barrow Rivers and the Royal & Grand Canals. County Kildare boasts some of the country’s most important historical and monastic sites. 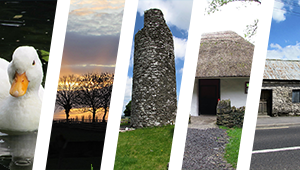 It includes sites such as St. Brigid’s monastic settlement, the birthplace of Ernest Shakleton, 5 ancient round towers (including the highest accessible one in Kildare Town) and Oughterard, the burial place of Sir Arthur Guinness. Visitors can experience Ireland’s Ancient East at its best here. There are a range of activities and attractions in Kildare such as Ireland’s oldest golf club, horse racing and riding, canal walks and cruises, activity centres, world renowned motor racing, great food, fantastic shopping, homely hotels, welcoming people and a lively nightlife – you could say that in Kildare, you can experience it all! From heritage sites to playgrounds, local attractions and more, this link provides a comprehensive selection of what there is to see and do in the county. A gallery of all things Kildare – the photos in this section show just a small selection of the various environments and amenities that Kildare has to offer. 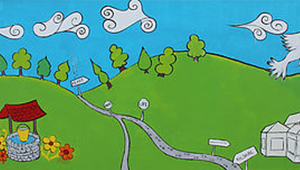 Check out our events guide for community events, workshops, festivals and much more!!! Contact Us here if your event is not showing.